The Ezydog Handy Leash is an ingenious hands-free dog lead. 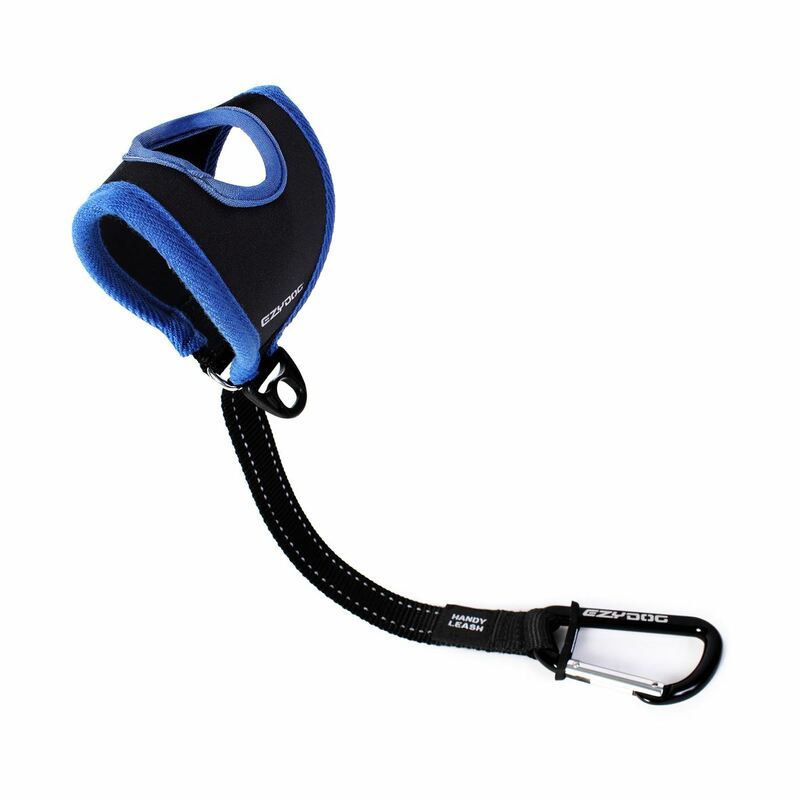 It fits comfortably around the hand so you can still use both hands while out and about. 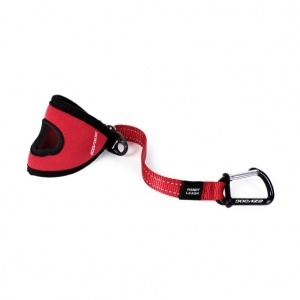 It features a large carabiner clip so it can be attached directly to a collar or harness or attached to the end of another lead to make a full-size hands-free lead. The glove section is adjustable to fit any hand size. It is made from soft neoprene so is comfortable and weatherproof.